Adorable baby booties are the best baby gift for the baby boy! Crochet blue sneakers looks like real shoes because of the double sole. You can choose size you need for your new baby converse. 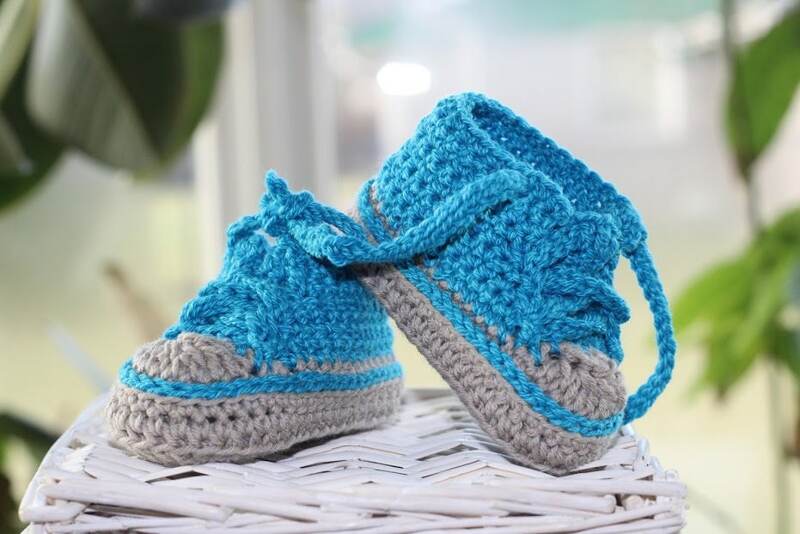 I crocheted this baby sneakers from high quality yarn - 50% merino wool and 50% cotton. This yarn is just perfect for the Summer, Autumn and Spring. Baby booties for a boy can be a perfect gift for the baby shower or Valentine's day. Crochet baby booties please wash in cool or warm water & laid flat to dry. IMPORTANT! Check your baby's foot before ordering crochet booties and let me know. If you prefer different kind of yarn, booties color or size, please let me know.